The walls in a home determine the atmosphere. Dark or light, beautiful paint on the walls makes a statement in the room. 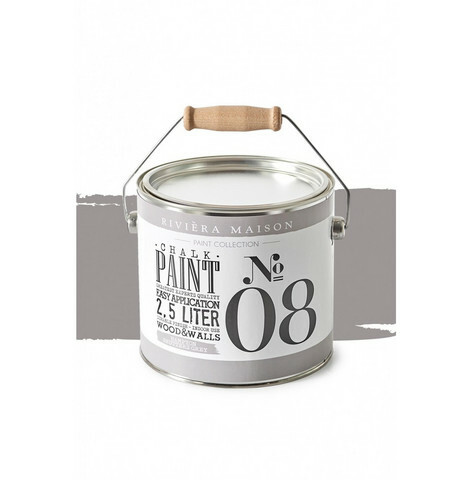 Rivièra Maison's new paint collection has a matte finish with a soft powdery look, giving it a tranquil touch. Add variation, accentuate your color and decorate your walls with this natural and soft shade. The paint covers 20 m2, has a very good coverage and is only for indoor use. Suitable for walls, furniture and accessories. Size: 14,8 x 14,8 x 16,3 cm.